When one of your oldest and dearest friends, who happens to live across the ocean, comes to town, you must take full advantage. If she so happens to also be the face behind a fantastic food blog, fifty percent (if not more) of that visit, should probably revolve around food. Challenge accepted. We devoured bowls of Panang curry while drinking pints of Singha from a beer tower (yes, a beer tower!! ), we perused the Brickworks farmer's market stocking up on produce for the weekend, we scrutinized the dessert menu at Bar Isabel, soaked in a few too many rays while digging into our picnic, concocted our very own ice cream sammies, and wrapped up the weekend with an afternoon in the kitchen and a Sunday evening harvest feast (see below). In a large bowl, toss together the carrots, lemon juice, zest, paprika, cumin, oil, salt and pepper. 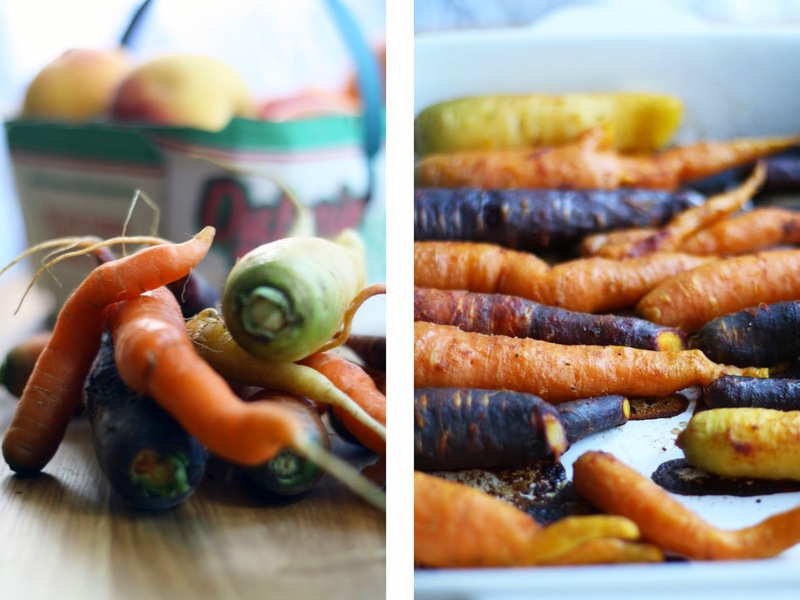 Transfer to a roasting pan, and roast for 20-30 minutes, depending on the thickness of the carrots. I like might still crunchy, but test with a fork and use your judgement. While the carrots are roasting, combine all the dressing ingredients in a glass jar. Seal and shake well to combine. 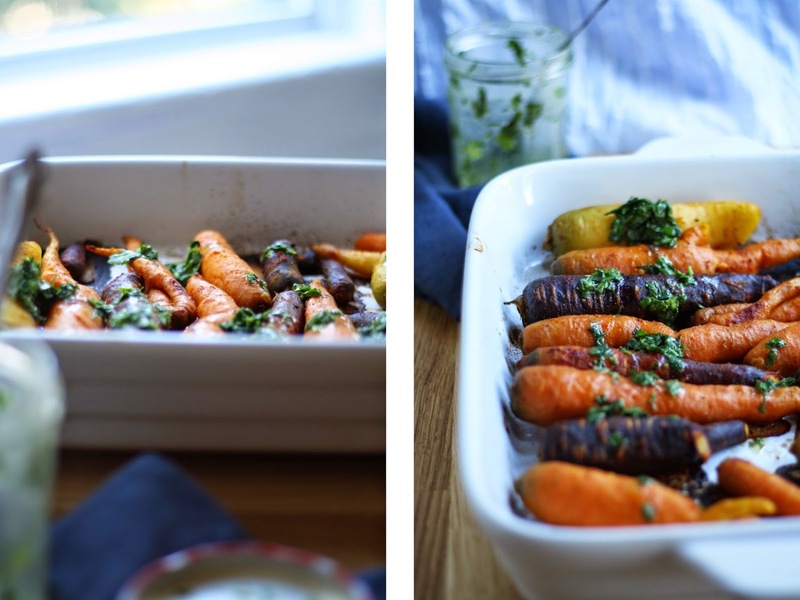 Remove the carrots from the oven and dress with herby drizzle. Let sit to soak up all the flavour until ready to serve.